Much talk about online content, particularly where search engine optimisation ( SEO ) and blog writing is concerned, seems to focus mainly on words. It can be easy to forget the importance of photography but in everything from backgrounds and profile pics to product shots and featured images in blog posts, quality commercial photography remains a valuable asset to any online business. Just as lifeless, cliched wording can undermine the most visually appealing article, web page or blog post, a finely crafted piece of writing can be let down by generic and poor quality photography. With a commercial photographer on our team, Get Found can replace or supplement your stock images with unique, creative commercial photography. 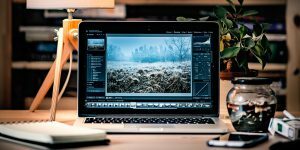 As digital cameras and image manipulation software such as Photoshop become common, there has been a rise in amateur digital photography. Quite frankly it shows with many DIY websites littered with poor quality, low-resolution images. Only the photographer – usually the website owner – is oblivious to the shoddy overall effect. After all, when you’ve focused so much time, money and energy in getting found, why risk throwing it all away by presenting visitors with an amateur or bland and generic visual experience? Commercial photography and the careful curation of quality stock images will enhance the visual appeal of a website or blog but that’s not their only benefit. They also have a big part to play in getting you found via search engine optimisation. Search engines are unable to ‘see’ a web page in the same way as a visitor does. They instead rely upon signals from image meta-data which, just like the other on-site meta-data and content, should contain relevant keywords. Not filling in this information for online photographs and graphics is a common failing of web designers and Get Found can work with yours to ensure this has been done. This forms part of our standard website audit, carried out as part of our internet marketing services. Get Found are also able to commission Google Trusted Photographers to carry out still shots and even a 360-degree Business View virtual walkthrough for your premises. Business View is the interior equivalent to Google Street View and can only be done by an experienced commercial photographer who has fulfilled the Google Business View training requirements. After Business View virtual tours and interior stills have been uploaded onto Google they are automatically integrated into the Google eco-system and can show up on Google Maps, Google Search, Google Image Search, Google+ and other properties. They can also be easily added to your website and social media platforms to enhance viewer experience and engagement. To book a commercial photographer for a Business View tour or to find out how we can best bring commercial photography to your site please get in touch today. We can also provide you with a free quote for one of our comprehensive internet marketing services.